A leading gay rights campaigner in Honduras was arrested and assaulted in a raid on a bar frequented by LGBT people, reports suggest. On Sunday 13 January Erick Martinez was in a bar in Honduran capital city, Tegucigalpa, when police arrived, demanded that the bar close earlier and conducted a raid. According to the Petrelis Files blog, the Honduran national police arrived at the bar, which is often visited by members of the LGBT community, and told it to close, much earlier than the legal closing time of 2.30am. Mr Martinez, who witnessed the raid, took photographs using his mobile phone to show that detainees were subject to police beatings, homophobic verbal abuse and intimidation. His car was also searched, he said, with several items being illegally confiscated before he was released. 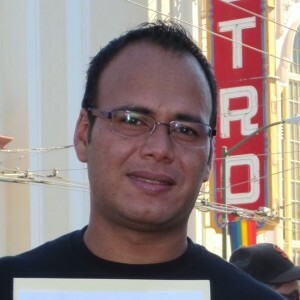 Erick Martinez is considered a leader of the LGBT and human rights campaigns in Honduras, and is a coordinating member of the Honduran Resistance Movement. He is also anopenly gay primary candidate for congress under the LIBRE party, reports Petrelis. Another gay rights activist, Walter Trochez, 25, was well-known for campaigning for equality in the country, had reportedly been harassed and beaten, and was shot dead in a drive-by shooting in 2011. In January 2011, LGBT campaigners called on Honduran authorities to fully investigate the murders of six transgender women in just 60 days.